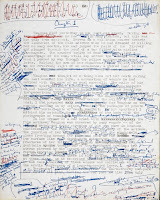 The second part of my article discussing the ins and outs of editing, which originally appeared on Simon Marshall-Jones's Ramblings of a Tattooed Head blog. 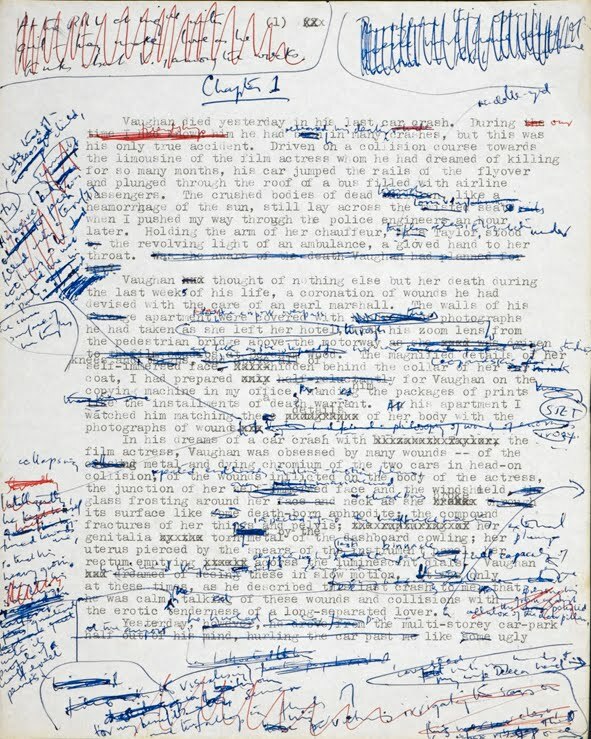 If you've ever wondered what the difference between substantive and line editing is, or what precisely a copy editor is looking for, or what an editor does (and doesn't) want to see at final proof stage, this is the article for you. When we last saw editor Ellen Hartwell-Jones, the deadline for submissions to her anthology The Colossal Book of Fantastic Vampire Cat Stories had passed, and she had made her final selection of stories to be included. Ellen’s name will be on the cover of the book, preceded by “Edited by”; it’s her vision that has shaped the anthology, and the stories she’s chosen are the ones that best fit what she sees the finished work being as a whole. However, the fact that she’s accepted these stories doesn’t mean that her work is now done; far from it. The real work—the actual nuts and bolts of editing—is about to start. There are three different types of editing: substantive, copy, and line. To make matters more difficult, there is considerable overlap between copy editing and line editing, and between line editing and proofreading. Ellen, as editor of the anthology, will do the substantive editing; depending on the publisher, she might do the copy and line editing as well, or these jobs could be performed by one or two other people. For the purposes of this article, I’ll assume that Ellen is doing all three. 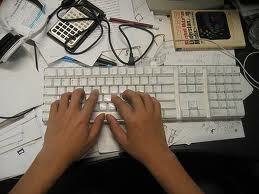 First comes the substantive editing, which is where the editor works most closely with the author. As the phrase implies, substantive editing is the process whereby an editor goes through a submitted/accepted work and suggests potentially substantial changes, which might affect the structure, plot, characters, or tone of the story. This is where things can—possibly—get fraught, depending on how protective the author feels about her deathless prose. The writer has, at this point, completed her story; it is, she thinks, the best it can possibly be, and now someone is asking questions, or suggesting that something needs to be added or taken away or changed, or that this character’s actions need a bit more explaining, or that such-and-such an event needs to be moved backward or forward in the story. It can be frustrating and/or annoying at this stage of the game: after all, if you’d thought that anything needed changing you’d have done it yourself, right? Well, not necessarily. As the writer, you’re sometimes too close to the story you’ve laboured over to see it clearly and objectively. There’s also the fact that you’re privy to all your own thought processes, so you know why you wrote this scene in this way, why a certain character acts the way he does, why a particular event occurs at that point in the story. You have all the connections in your head, and it all makes perfect sense. The trouble is that sometimes these connections don’t make it from your head onto the printed page. It’s perfectly obvious to you, because you know what you were thinking when you wrote the story. The reader doesn’t; he can only go by what’s down there on the page. He’s not privy to all the thoughts in your head, which is why substantive editing can be a real boon to a writer. The editor, as an objective third party standing in for the story’s eventual readers, can ask for clarification, suggest changes, deepen the characterisation. This isn’t to say that every suggestion an editor makes will be correct and needs to be immediately adapted, but a receptive writer will listen, and consider. What happens if you don’t want to listen or consider; what if you think that your story is perfect as it stands? Good luck! No one’s saying you shouldn’t argue your corner; if you disagree with a proposed change, then by all means mount a defence. If the editor feels strongly that you don’t have a case, however, or if she’s presented a compelling argument for change and you won’t listen, then you might very well find your story being rejected rather than accepted, and could well end up on the editor’s private mental list of authors she doesn’t want to work with again. Do editors have such lists? Not all of them, probably, and not formally; there’s no official blacklist of names which editors circulate amongst themselves. Still, the world of genre fiction is a relatively small one, and there’s ample opportunity for people to discuss these things. If an editor has worked with a writer who proved particularly difficult, to the point where the sight of another e-mail from that author makes the editor reach for the Advil even before she reads the message, then odds are the editor won’t want to repeat the experience. And the old adage is true: your reputation does precede you. Remember what I said in the first part of this article, about getting your story accepted being like a hurdles race, and not putting more hurdles in front of yourself than is necessary? If you, as a writer, have established a pattern of being abusive, difficult, or insulting, then up goes another hurdle which might well decrease your chances of being invited to submit to projects. Editors are only human, and like most humans they prefer to keep their contact with people who might cause unpleasantness in their lives to a minimum. Now that the substantive edits have been discussed, and made where appropriate, Ellen Hartwell-Jones moves on to the copy and/or line editing. This is where your story is read through again, this time with an eye to correcting mistakes, inconsistencies, and anachronisms (JFK is referred to as having been assassinated in 1964; a character’s eyes are blue on page three and brown on page eleven; someone in a story set in 1974 mentions seeing the movie Star Wars); terminology (ensuring you’ve used the correct terms in referring to a specific field or activity); and timelines (making sure the dates mentioned in the course of the story add up, something not done in the Sherlock Holmes novel The Sign of the Four, in which Mary Morstan visits Baker Street on a September afternoon and produces a letter dated 7 July, which she says she has received in the post that day). The next stage—although it’s often part and parcel of copy editing—is line editing. This is where our editor will be looking to ensure that the text flows properly, so she’ll be looking at sentence structure, proper use of grammar and punctuation, and such things as words or phrases or other stylistic tics of the author that are used too often (three paragraphs in a row beginning “And so he . . .”, a word repeated two or three times in the space of a single sentence, overuse of a piece of punctuation such as a semi-colon). This is also where she corrects any typos or spelling errors, and makes the whole thing conform to house style; that is, the style adopted by a publisher as regards grammar, typography, spelling, and other items. House style isn’t always something authors can anticipate. A British or Canadian writer will write colour or neighbour or centre, and a publisher whose house style uses American spelling will change these to color and neighbor and center; similarly, an American writer who describes a car’s tires will find a British publisher changing that to tyres. If you use a serial, or Oxford, comma, when you write (“We went dining, dancing, and then to the beach to listen to the surf”) and the publisher doesn’t, then expect the line to read “We went dining, dancing and then to the beach to listen to the surf” when your story comes out. Some publishers use em dashes—like so—while others use them — thusly — with a space either side. Some use single quotes around dialogue, others use double quotes. House style is a fact of life, and there’s nothing you as a writer can do except go along with it (unless altering something in your text to conform to house style will ruin a vital plot point: if the solution of your mystery story hinges on the word “kerb” being spelled in the British style, then you’ll have to explain why it can’t be spelled “curb”, even though that’s the American publisher’s house spelling). As I said, house style can’t always be anticipated; but what about all the other things turned up in copy and line editing? The fact that you wrote “just desserts” instead of “just deserts”; that your story, set in the future, mentions the American presidential election of 2014, even though the fixed four-year election cycle in the States means there’ll be presidential elections in 2012 and 2016, not 2014; that the hero walks across the room and opens the widow, no t the window; that you write of a river being “dissected” by a bridge, rather than “bisected”; that you’ve established your vampire villain can’t tolerate silver, yet at the end of the book the hero is given a silver ring taken off the vampire’s hand, as a souvenir of the case; that you have the sun rising in the west? Yes, the editor spotted all these (well, no, she didn’t; the first four are all examples I can recall offhand that weren’t picked up in editing, and made it through to the published version; the last two were picked up prior to seeing print), and yes, that’s one of the reasons she’s there. It’s one of the most compelling arguments against publishing houses getting rid of editors, and against “editors” who do little more than compile an anthology, with no real skill or ability to edit in any meaningful sense (if an editor makes no edits whatsoever to your story, merely bangs it into a text file and sends it back to you to proof, ask yourself if your story was really that good that no changes needed to be made to it. If you’re honest with yourself, the answer will be “No”). But—and this is a big “but”—it’s really up to the writer to go through his story and clear this up before it gets to an editor. You’ve had your story idea, you’ve written the tale, gone through it again to make sure it hangs together, and then wham, off it goes to an editor. But it’s to be hoped that you, as the author, did more than that before you printed it and put it in an envelope, or (more likely these days) attached it to an e-mail and sent it off. Few things make an editor’s heart sink faster than reading a submission chock-full of misspelled words, poor grammar, and erratic punctuation. If you didn’t care enough to fix all this before you sent it, then why should the editor? As an author, part of your job is to make sure that your finished story is as good as it can possibly be. Go through it as many times as it takes, getting rid of repeated words, fixing the grammar and punctuation, brushing it up and smoothing it off. While spellcheckers are fine after a fashion, they won’t tell you if it should be “complement” when you’ve typed “compliment”, or that you’ve used “there” instead of “their”. If you know that your grammar is a bit shaky or your spelling not up to par, or don’t know where to use a colon instead of a semi-colon, then get someone else who knows what they’re doing to read it through before you send your story off. And tell them to be honest, and critical. Nice as it is to pass your story off to someone to read and get a short but sweet “Great story, loved it!” back as a reply, that isn’t terribly helpful when it comes to polishing your work and making sure you’ve got as many of the kinks and errors out of it as possible. Last, but certainly not least, comes the proofreading. This can, as I said, sometimes be combined by the editor with the job of line editing, although whereas line editors are also lookin g to change word order, syntax, grammar, and punctuation where necessary, the proofreader is looking almost strictly for misspellings, typographical errors, and missing words. By the time the proofreader gets to the text it has been set into the format in which it will ultimately appear, so correcting obvious mistakes are about the only alterations anyone wants at this stage, as extensive changes might throw out formatting or pagination. It’s for this reason that when Ellen Hartwell-Jones sends you the final page proofs of your story to read through, she does not want to see them come back with rewrites, additions, or deletions. The time for rewriting or editing your story has come and gone; she wants to know if you spotted any mistakes. By this stage you will probably have been asked for a biographical note, a story note, or something combining the two. If you’re not sure what’s wanted, then ask. If the word count isn’t specified (your definition of “short” or “brief” may not agree with the editor’s), then make sure you establish an upper limit before you write your 2,000 word essay detailing the story’s background, genesis, development, and dénouement. This should go without saying, but make sure that if you comment on the story, you don’t put any spoilers in the note (prefacing such comments with a big bold SPOILER ALERT is generally frowned upon). These notes often precede the story, and no one will thank you for giving away a huge plot twist or key point in advance. Even if you know the note will be going after the story, or in a separate section at the back, spoilers are best avoided. Which brings us—almost—to the end of the process, at least as far as writers are concerned; now it’s a question of sitting back and waiting until the finished book is available. One point of basic etiquette to remember, throughout the process, is to try to reply to editor’s e-mails as quickly and accurately as possible. Remember that she’s dealing with two-dozen or more other writers too, plus juggling the demands and queries of the publisher, any other editors and/or proofreaders, and possibly dealing with the cover art as well. The less chasing around and follow-up she has to do, the easier the entire process is for everyone. When The Colossal Book of Fantastic Vampire Cat Stories is at last published, you might be asked to take part in some publicity for it, if circumstances allow. Some writers like to take a hands-off approach to publicising their work, preferring to let others do the job of marketing and promoting, but if you’re able to take part in a launch or signing or reading somewhere it’s very much appreciated, and usually a lot of fun. If nothing else, you get to meet with a group of other writers, and complain, like Edward Gorey’s Mr. Earbrass, about the unspeakable horrors of the literary life. And so we take our leave of Ellen Hartwell-Jones, admiring the latest addition to her bookshelf, and wondering what her next project is going to be. Perhaps she already knows, and is drawing up a list of names of writers she’d like to invite to submit to it. If you’re fortunate enough to be on it, I hope my little guide helps you to clear away some of the hurdles. Good luck! Posted by Barbara Roden at 10:27 a.m. This is practically a "how-to-go-about-editing" manual, and should be 'essential' reading for not just editors, but also those who hope to get their hard-composed pieces printed in a proper book/anthology. Thanks for the post. Barbara, glad to see your blog revivified. Hope you had a great holiday season. These columns from SMJ's blog are very interesting. This is some substantial post. Valuable for sure. I highly recommend you divide this lengthy lesson into several posts. You'll get more mileage out of your efforts, since each headline will be picked up by search engines, and your readers can take in a bit at a time. I see this was already Part 2, but I stand by my earlier words. Part 1 and 2 will make a good e-book or PDF you can offer your readers in return for ... (liking your Facebook fan page?). Small bites make us long for more.